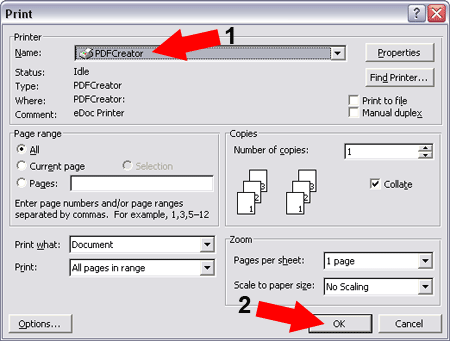 In the following simple solution, I’ll show you how to Convert Doc to PDF files using the Open Source PDFCreator. 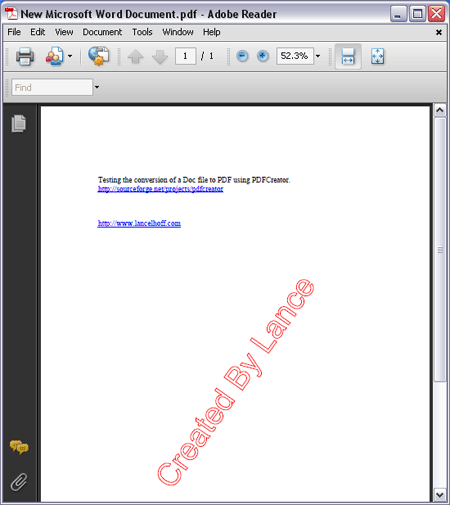 I stumbled upon this PDF Creator tool while I was doing some research for a client who was looking for an offline tool he could use to convert his document files into PDF (Portable Document Format) files. This tool seemed to do the trick and more. 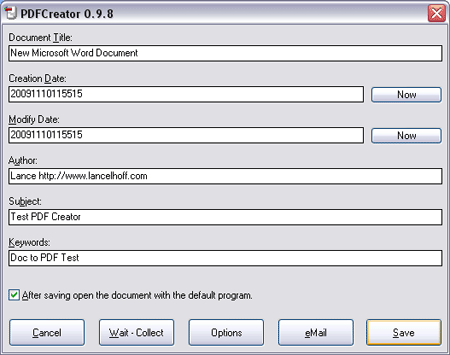 PDFCreator includes a PDF print driver which allows the user to print to a file from virtually any Windows application that supports printing. It can be used like a printer in Word, StarCalc or any other Windows program.